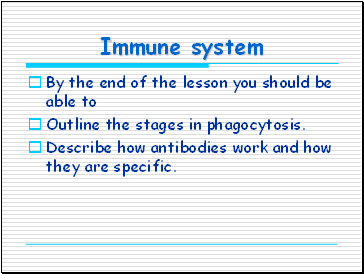 Outline the stages in phagocytosis. 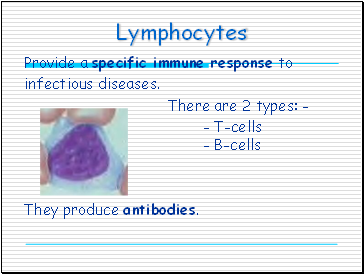 Describe how antibodies work and how they are specific. 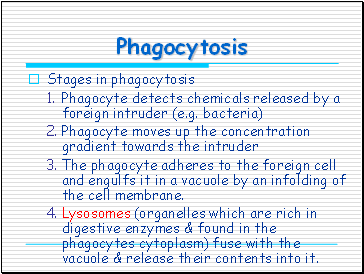 The phagocyte adheres to the foreign cell and engulfs it in a vacuole by an infolding of the cell membrane. 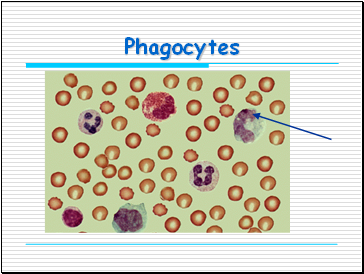 Lysosomes (organelles which are rich in digestive enzymes & found in the phagocytes cytoplasm) fuse with the vacuole & release their contents into it. 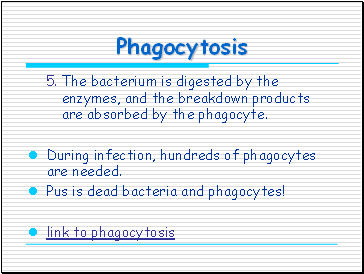 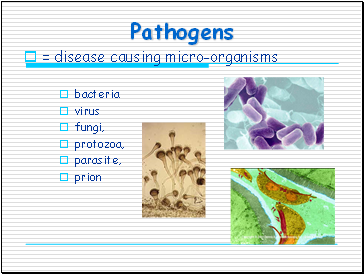 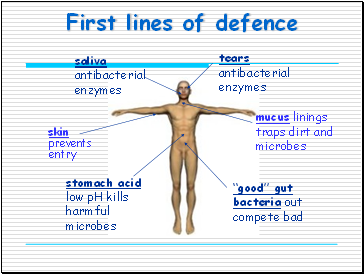 The bacterium is digested by the enzymes, and the breakdown products are absorbed by the phagocyte. 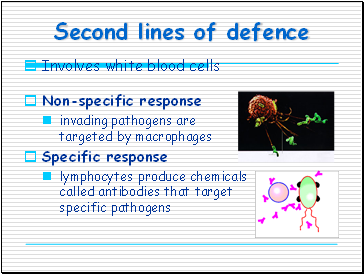 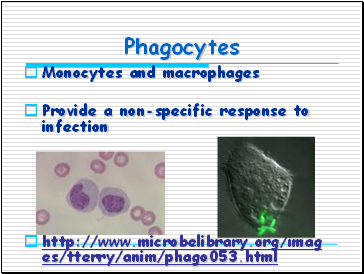 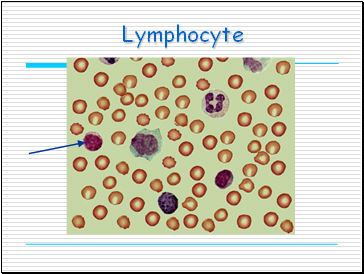 During infection, hundreds of phagocytes are needed. 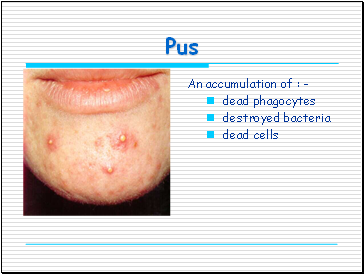 Pus is dead bacteria and phagocytes!